Vintage clothing and fashion have been popular for decades. I remember wearing my mother's sweaters from the 50s back in the early 1980s when the band Stray Cats was popular, and we all remember the return of bell-bottoms a few years ago. Now with the success of Downton Abbey, more people are following the fashion trends of years gone by and searching for vintage clothes to add to their own closets. Although A Stitch in Time, Volumes 1 & 2 are knitting books, they are also an archive of vintage fashion and a history lesson on the events and people who influenced the fashion trends over the years. Written by Susan Crawford and Jane Waller, these books contain an overview of fashion from 1920 to 1959, illustrated with both vintage and modern photographs. Beyond a collection of knitting patterns, these volumes are a delight for any vintage fashion fan. Both authors are well-known in the world of vintage knitting. Susan Crawford is a knitwear and clothing designer, and a knitting teacher. 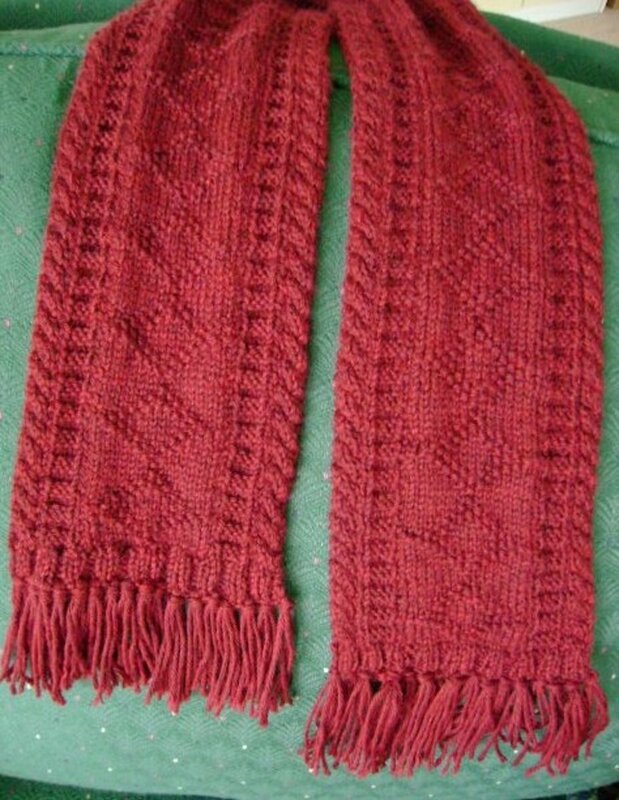 She has an online knitting blog Susan Crawford Vintage, where she also sells her patterns and books. 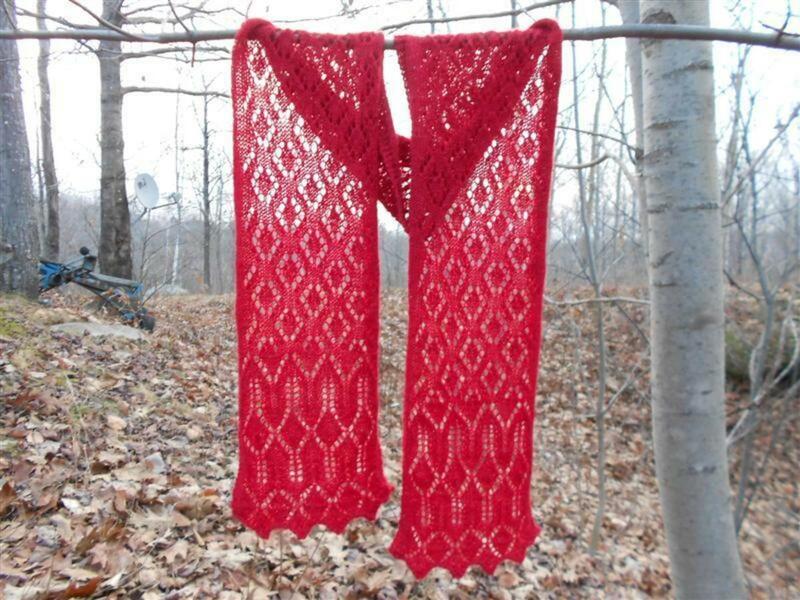 She has written a number of books on vintage knitting patterns, including Coronation Knits, in honor of Queen Elizabeth II's Diamond Jubilee. 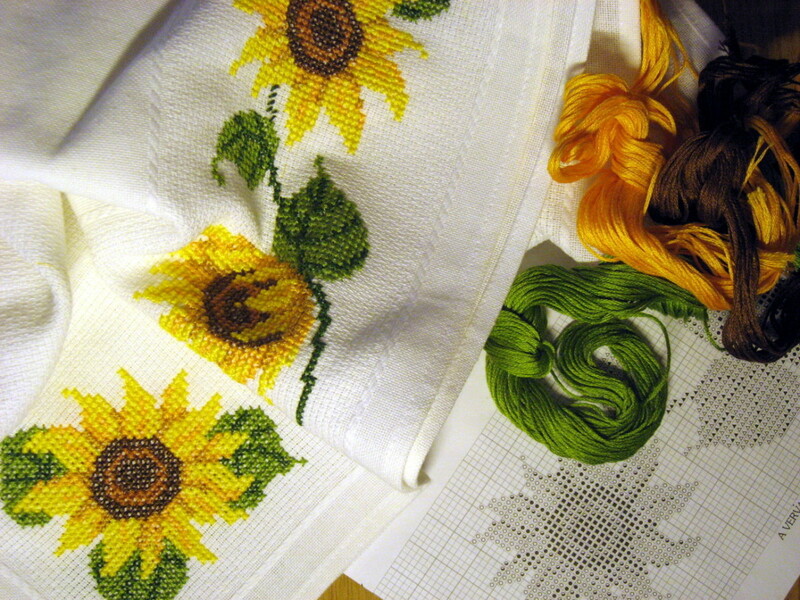 Her patterns can also be found in various knitting magazines, including the British publication, the Knitter. Jane Waller has been a professional writer for over 40 years, and has written books on a range of subjects, from sculpture to children's fiction. She wrote the original version of A Stitch in Time, published in 1972. Her vintage magazine collection served as the basis for A Stitch in Time, Volume 1, published in 2008. Volume 1 of A Stitch in Time covers the years of 1920 to 1949. This volume is only available as a paperback, but contains 59 knitting and crochet patterns, accompanied with full-color photographs. The book is separated by chapters, each covering a different fashion era. Each chapter begins with an overview of that era, and the events that influenced the clothing trends. For example, Chapter 5 discussed the changes in fashion as women move out of the war years and into the optimism of the 1950s. This volume contains knitting patterns for a variety of items, from hats and scarves to sweaters and even bathing suits. 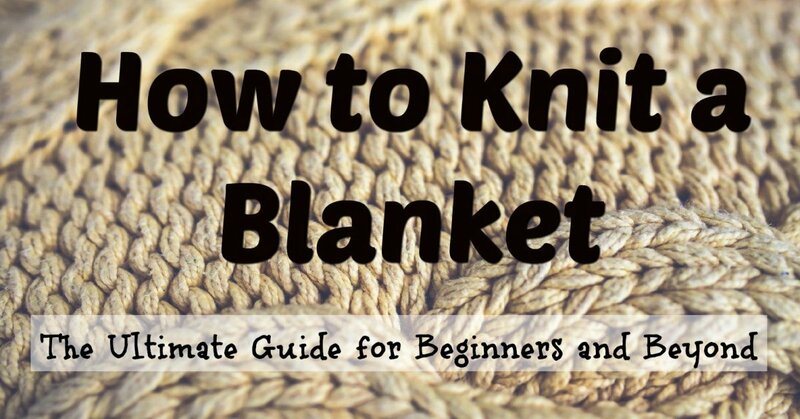 For each pattern, the authors have updated the instructions using today's yarns, needles, and modern clothing sizes. 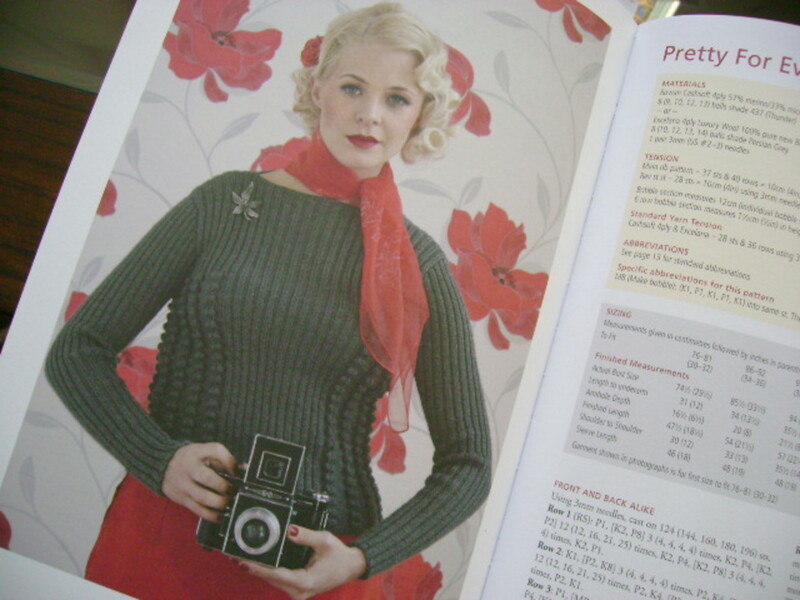 The patterns are written in an English style, which uses some different knitting terms than American patterns, but there is a glossary and description of all terms at the back of the book. Otherwise, the patterns are well written and include charts and blocking diagrams as needed. Both Stitch in Time books are unique in that the original vintage pattern is printed along with the modern version. Although seeing the changes from the original pattern to the modern re-do might be of value to fashion historians, I think it has limited interest for most readers. The color photographs in this book are the true treasure. Each model is beautifully dressed in full vintage style, from hair and make up to the clothing. Susan Crawford has taken all of the photographs and used her own vintage accessories to pull together and complete each outfit. The modern images harken back to the past in their style and expression, yet bring the fashions alive for today's women. 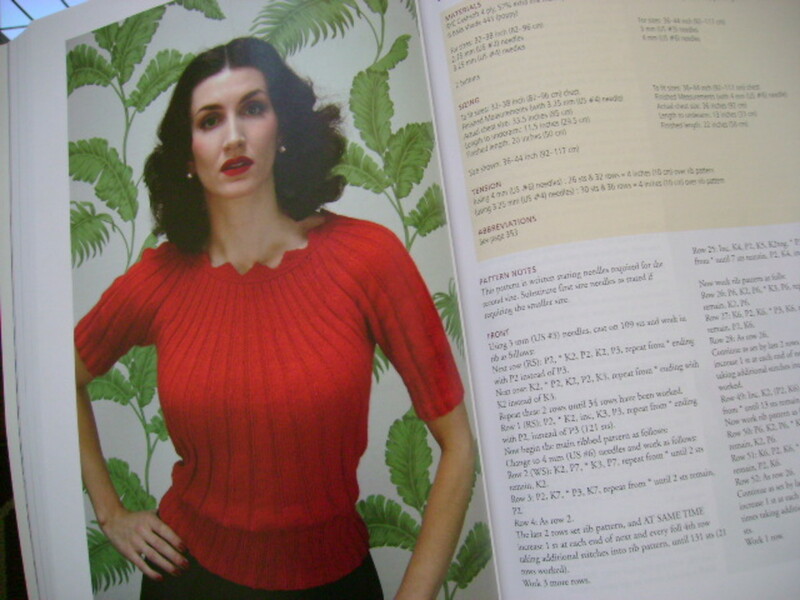 The book is also dotted with helpful hints for knitting vintage patterns. 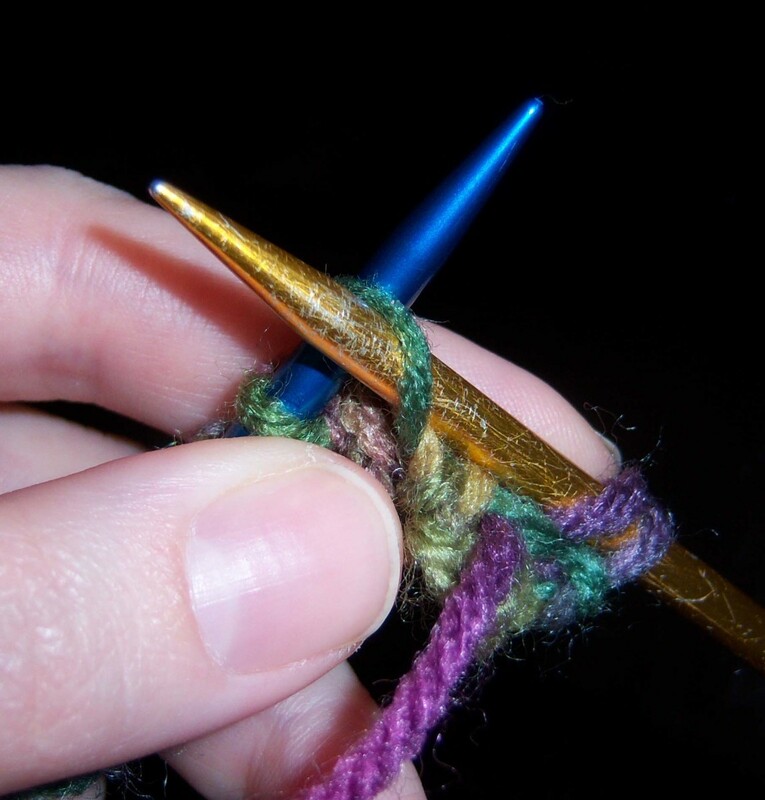 For instance, there are tips for learning how to darn holes to make your garments last longer. These helpful notes not only offer valuable advice, but also add charm and character to the book. Volume 2 of A Stitch in Time focuses on the years of 1930 to 1959. 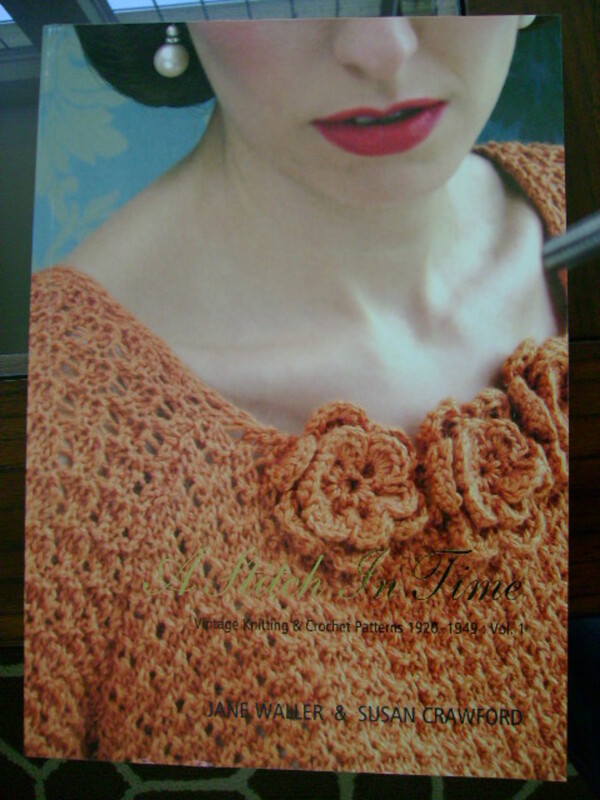 This book is a large hard cover with 400 pages and 80 vintage knitting patterns (crochet patterns from this period are planned for a separate publication). With 21 more patterns, this volume offers a wider survey of the changes in fashion in these years. Like its predecessor, Volume 2 is separated into chapters by fashion era. Each chapter is introduced with an essay on the important events and cultural figures who had an impact on the fashion of that period. The modern re-written patterns are once again augmented with the original vintage pattern, and diagrams and charts where needed. The items of clothing include hats, sweaters, shawls, and coats. The photographs are again beautiful and inspiring. The modern images still hold all the vintage details that make them special - from the accessories, to the settings, to the expressions on the models faces. In the first patterns and photographs, there is the obvious influence of Marlene Dietrich and other bobbed beauty queens. At the end of this volume, the inspiration of Bridget Bardot and the beginning of a more relaxed 1960s is seen. 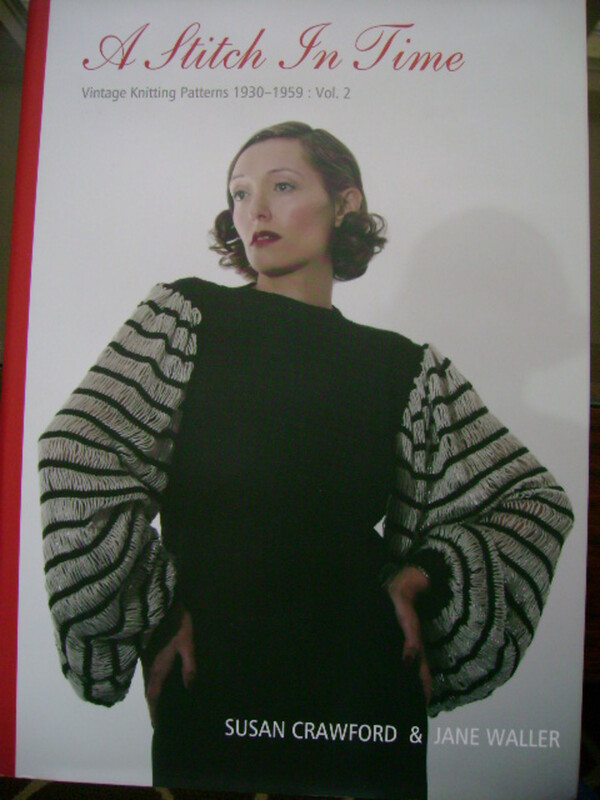 Volume 2 also includes a 15 page guide on creating a beautiful finished vintage garment. 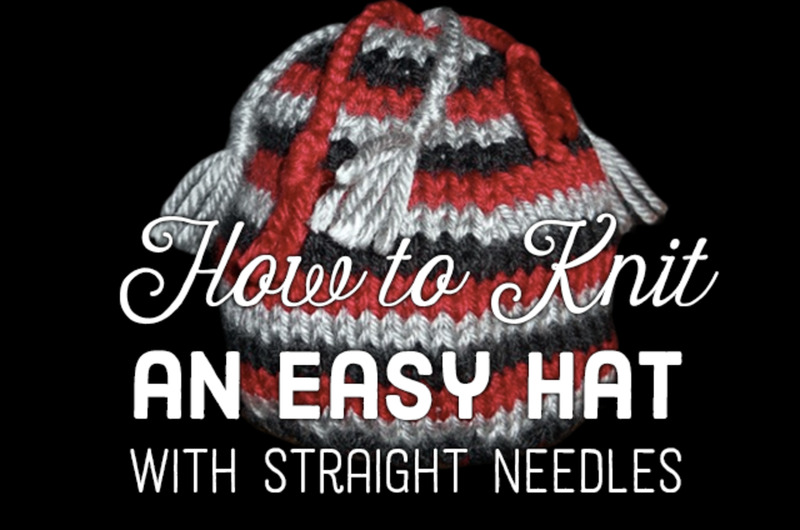 This overview includes information on getting the perfect vintage fit, choosing the right buttons for the right era, and step-by-step instructions on finishing off your knitted item. Both of these volumes are a wonderful journey through fashion history, with keen insight on each fashion trend and style. If I had any criticism, it would actually be more of a suggestion - I would love to see additional photographs with the models wearing the vintage garments in an outfit with current clothing items, as most of today's women would do. I think most of the tops in these books would look great modeled with a pair of black skinny jeans and current hair and make-up. Or they could be shown worn with a mix of items from different eras, like a 1930s sweater worn under a 1950s leather motorcycle jacket. 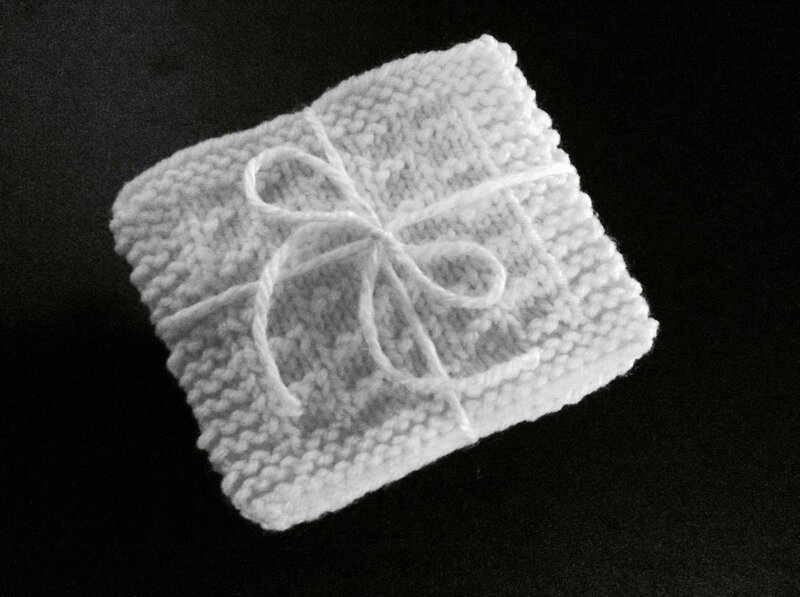 For more information and images from Volumes 1 and 2 of A Stitch in Time, visit Susan Crawford Vintage. 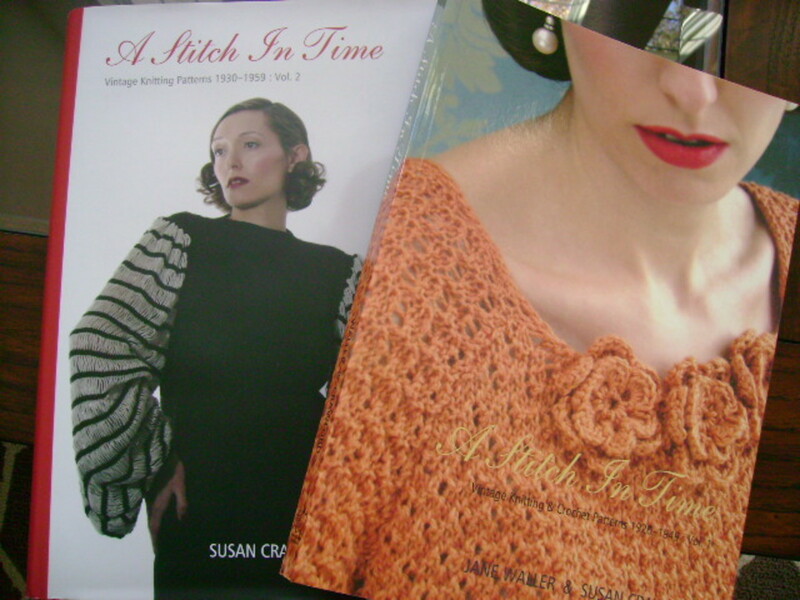 You can also find the knitting patterns from these books on Ravelry.com by searching under Susan Crawford's name in the pattern database. 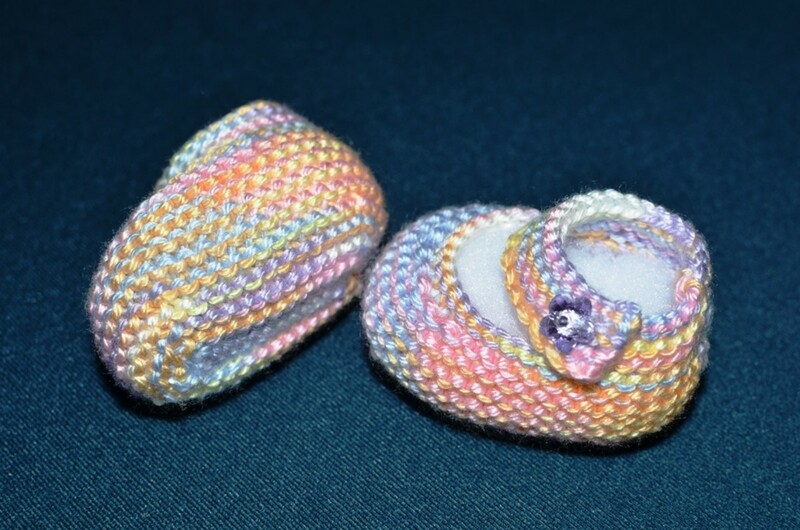 Basic Mary Jane Baby Booties Free Knitting Patterns with How-to Knit Videos! Hi kschimmel - I love the photos too. I often just page through the books and study the details of the clothes, hair, and accessories. I've always loved vintage clothes, but the items in these books are truly special. Thanks so much for your comments !! I want to get these books just to look at the pictures!